a brand new artificial synthetic lawn was designed and installed in front for a Leixlep family garden that instantly greened up the space. owners time and money in Garden maintenance. 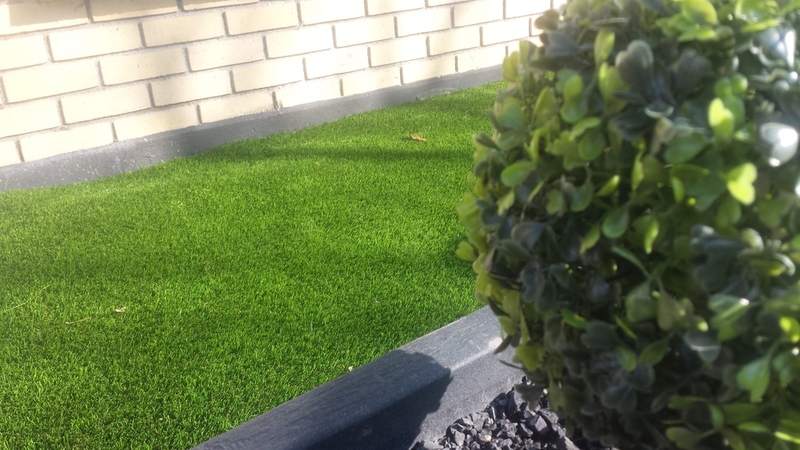 TigerTurf FInesse Deluxe was chosen for its natural grass tones and ultra-real appearance. Clients were absolutely delighted with their new garden and recommended us to work colleagues. "The faux lawn is absolutely perfect for the front. very happy with the planters also. The grass and plants look so real...nobody thinks they're fake"